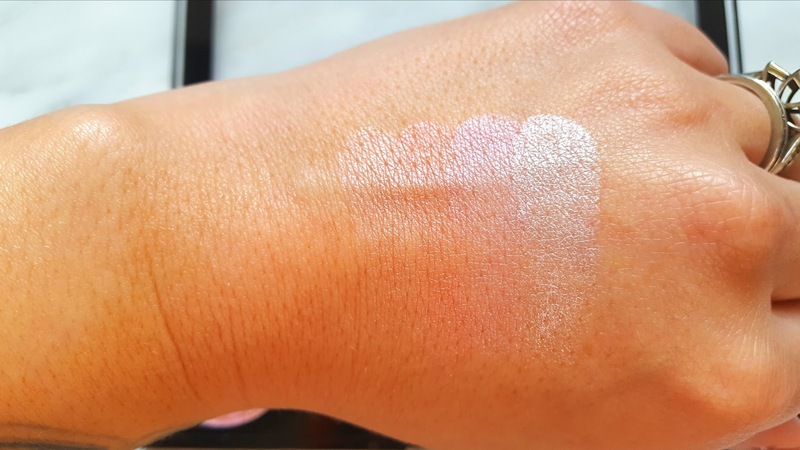 There is just something about a shimmery blush when the sun comes out. 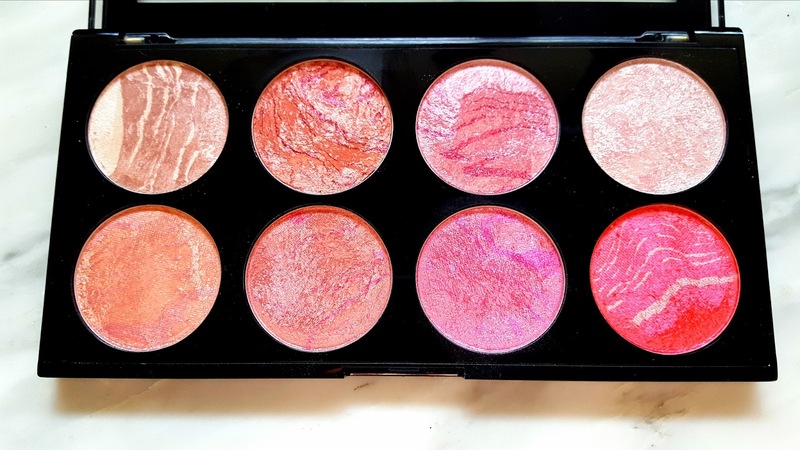 In the summer (or like currently when the weather all the sudden gets 30 degrees hotter and you feel like you're boiling) I generally wear a lot less makeup so I love a shimmery blush that eliminates the need to wear highlight. 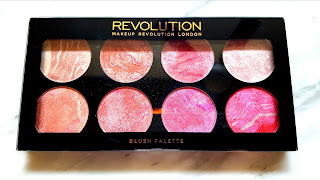 When I saw this new blush palette on Makeup Revolutions website I just couldn't resist. I love the packaging with the see through top. 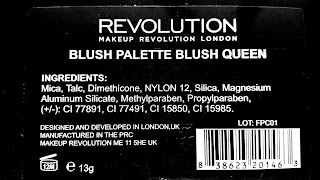 Since all of Makeup Revolution's palettes are black this makes it way easier to see what you're looking for. Just look at them in the pan! So gorgeous. These blushes go on pretty sheer (all swatches were done once through) but they are super buildable and can be really intense if you want them to so it's a really versatile palette. I've used it every day for 2 weeks as both blushes and highlights and it works amazing as either. 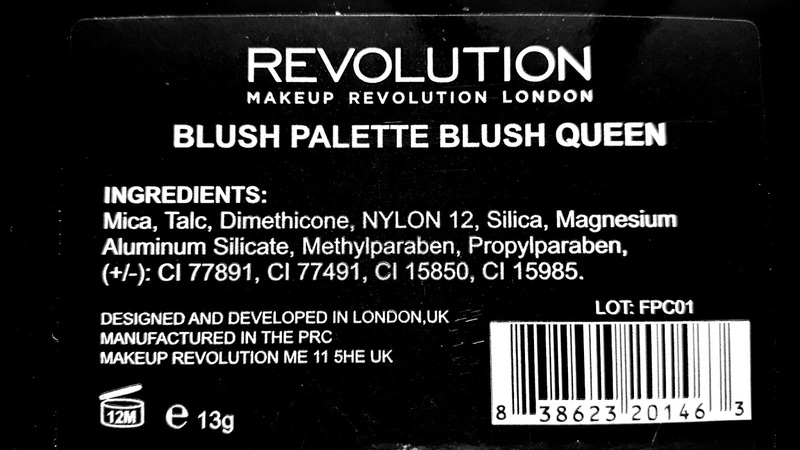 I purchased this off the Makeup Revolution website but you can also get it at Ulta for only $10 which is such a steal. 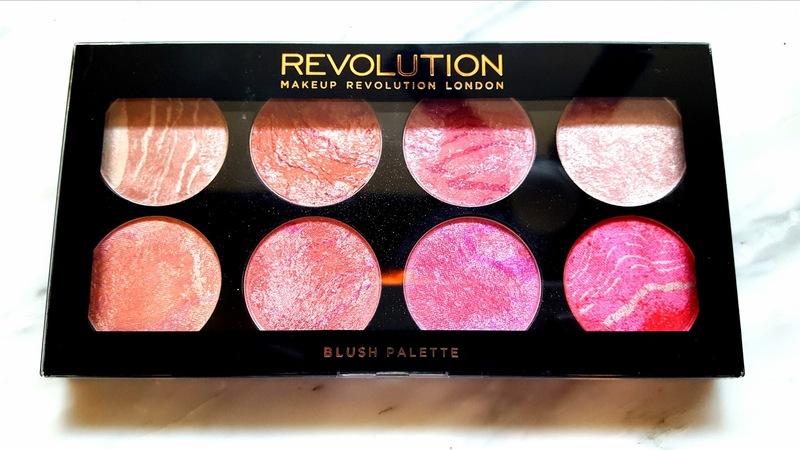 This palette looks insanely gorgeous! Am I the only one that almost feels guilty for messing up pretty shimmery palettes like this with my brush sometimes? haha Have a great day, Kim! I love these, so beautiful! 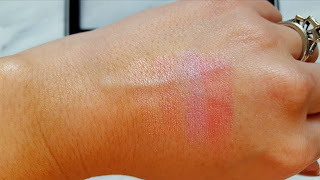 Blush isn't something I play around with enough, but these colors are so gorgeous. I need to check them out. Thanks so much for sharing another great review sweet friend! Oh wow these look incredible!! Never seen these before! Definitely want to go and give these a try! I love how creamy they are! They look so so pigmented but in that way that you can easily control. Thanks for sharing this! Nice! The colors of the palette look pink pretty!